Delta Air Lines has come under fire. A doctor is slamming Delta flight attendants as racist following her treatment onboard a flight with the airline earlier this week. Dr. Fatima Cody Stanford said that while flying with the airline Tuesday she experienced prejudice from the airline's flight attendants. Stanford told TV station Boston 25 a passenger next to her began experiencing "lots of shaking, hyperventilation." Stanford said she then showed her medical license to a flight attendant. "She looked at it, walked down to the back of the plane," Stanford recalled to the local outlet, "and then the second flight attendant approached me and said, 'Well, can I see your license again?' I was like, 'Absolutely.' "
Stanford said she was met with resistance from the crew. "I just talked with the first flight attendant; she said you're not really a doctor, you're just a head doctor,' " Stanford said she was told. "I said, 'Excuse me, what do you mean by that?' "
Stanford added the attendant then replied: "Oh, so you're not really an MD, are you?" Stanford said she was allowed to continue attending to the ill passenger, according to CNN. "It's quite disconcerting that, here I was trying to help a fellow passenger … and my value and worth in that situation (were) questioned," she told the Boston station. Stanford also called out the airline on Twitter Tuesday. "@delta I am very disappointed that your policies on #Diversity have not lead to any change," she shared. "As a #blackwoman #doctor who showed my #medical license to help a passenger on DL5935 your #flightattendant still did not believe I was a #Physician." The next day she added: "@Delta my experience last night when a fellow passenger needed help shows that being a @harvardmed @MassGeneralMDs does not shield from #racism #WhatADoctorLooksLike #ILookLikeADoctor #ILookLikeASurgeon #BiasInMedicine #implicitbias #BlackWomenDoctors do exist." Delta responded to the doctor on the social media site Wednesday morning. "I am so sorry for your frustration Dr. Stanford," the airline wrote on Twitter via the verified Delta account. "Please know that Delta does not condone discrimination for any reason and we take your comments very seriously. We are looking into further and will be reaching out to you directly." Stanford tweeted Wednesday afternoon that she spoke with Delta but was not entirely satisfied with the outcome. "So I spoke with @Delta and I left the conversation quite uncertain that any changes will be made," she posted. "Summary: flight attendants thought I was a #therapist despite #MDlicense. They will make sure this is addressed. Thanks for being a #skymiles member. Really? !$ #iamadoctor"
Thursday afternoon, the airline said in a statement, “We thank Dr. Stanford for her medical assistance onboard Republic flight 5935 IND-BOS, and are sorry for any misunderstanding that may have occurred during her exchange with the in-flight crew … Regardless of aircraft, all customers are Delta customers and we are committed to ensuring they enjoy a similar experience on every flight." 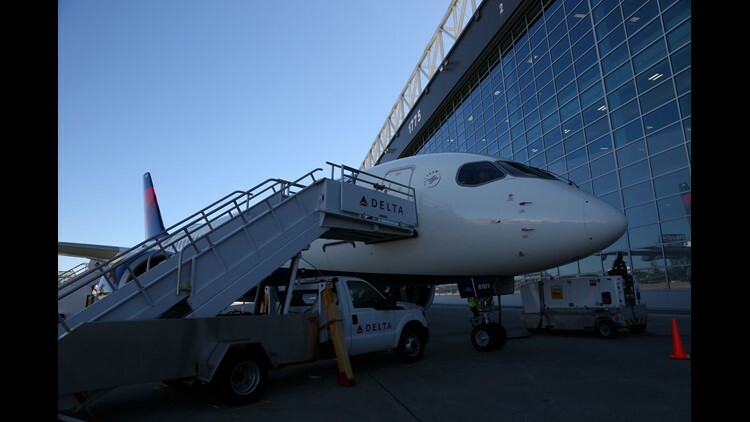 The airline said the flight was operated by Republic Airline, a Delta Connection carrier, and that Delta does not require medical professionals to provide credentials when they volunteer to assist in an emergency. It added, "we are working with all of our connection partners to ensure their … actions align with ours."